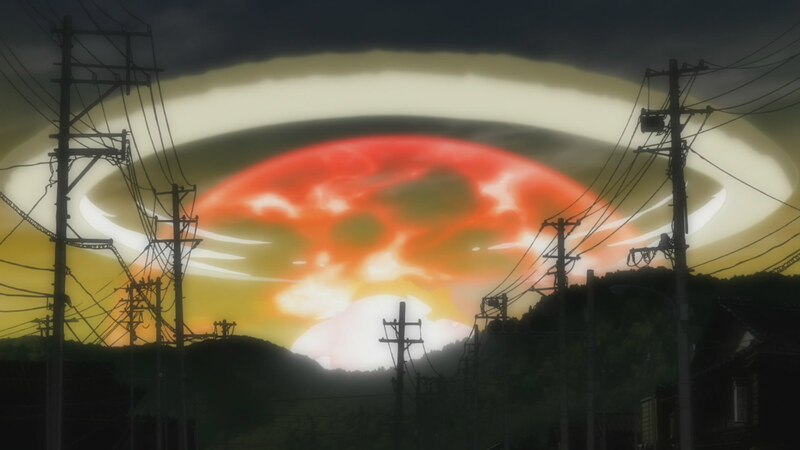 Last week I had the chance to watch Evangelion 2.0 at the Asia Filmfest 2009 in Munich, and it was even better than I anticipated based on the high-class staff credited for this movie. It reminded me of the huge possibilites the medium offers and managed to impress me like very few other animated movies before. 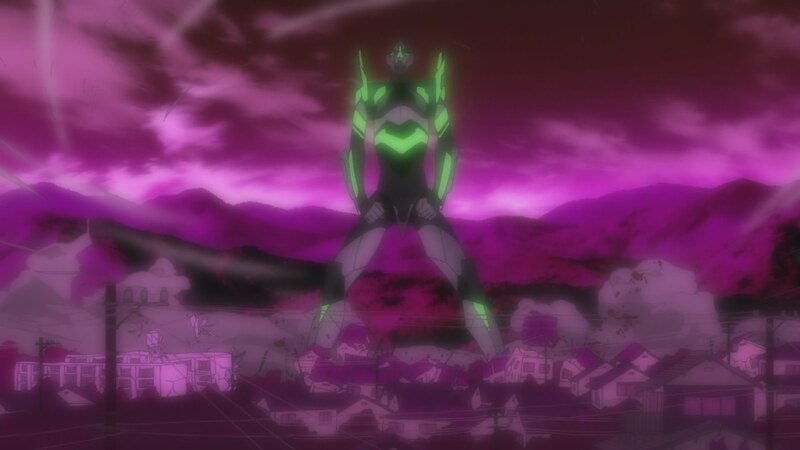 Eva 2.0 marks a great comeback of the famed franchise which changed anime once and for all, and this new incarnation carries its legacy over to a new generation of viewers. 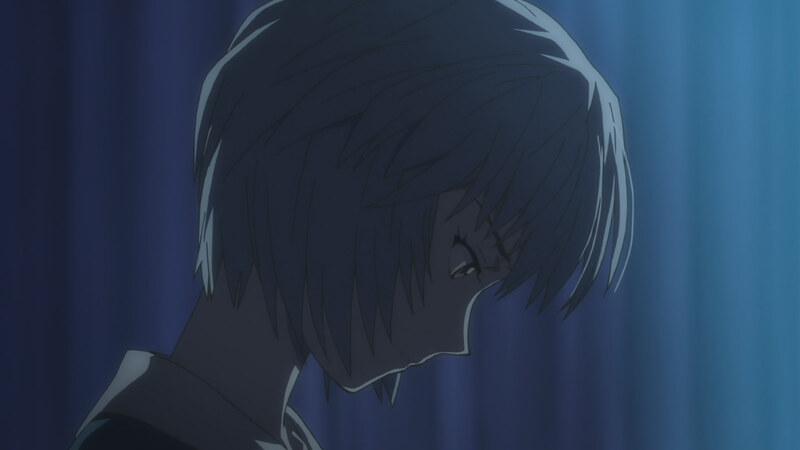 This is as close as anime gets to perfection and undoubtedly among the best animated movies ever produced, anime has rarely been that visually accomplished and cinematically perfected, so to speak imposing evidence for Hideaki Anno‘s talent. Here he really shows what the art form is capable of achieving in the hands of talented artists who he gathered from all over the industry to work on the Rebuild of Evangelion series. After watching this movie, I have no doubt that he goes into the right direction to carry out his ambitious goals of ‘connecting anime to the future’, like he called it in his statement from nearly three years ago. Despite being basically a remake of the TV series or more precisely a retelling of episodes 7 to 19, you really can’t tell because the structure and pacing have been perfectly adapted to this format with very little time that isn’t purposefully used. Also, there are some profound changes which will surprise many long-term fans – and I don’t only mean the new character Mari Illustrious and EVA models with that. Especially towards the end Eva 2.0 presents some unforeseeable suprises which give the movie a more original taste and leave you clueless about the progress of the story in the upcoming sequels, so it’s in no way a simple remake like Eva 1.0. As for the characters, there have been some changes compared to the original series with some interesting new interactions and moments, particularly Asuka and Rei are depicted in a more authentic fashion which really adds to their overall credibility. Both have some slightly different personalities what makes them even more interesting, and both play quite a large role in this movie (of course?). 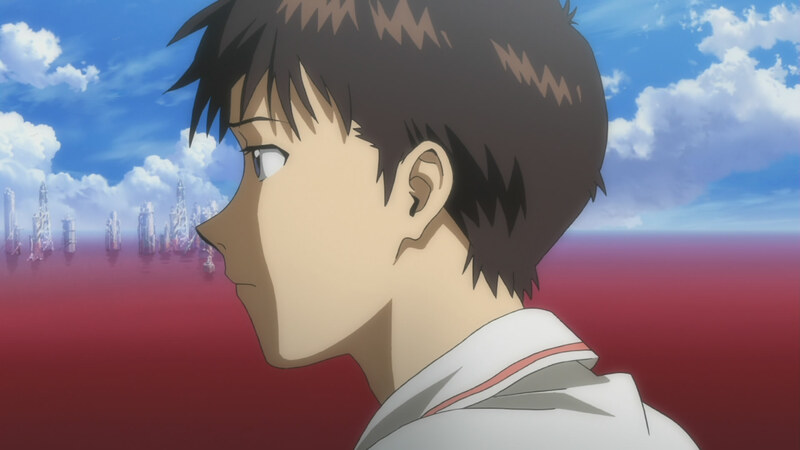 In contrast to Eva 1.0, where the absence of Asuka lead to a somewhat uneven balance of the characters since a more active counterweight with strong presence was missing, Eva 2.0 really shines in this regard with a perfectly balanced cast and character interplay like rarely seen before in anime – be it comedy or dramatic scenes. Anno‘s writing is absolutely brillant in the way he expresses the characters’ personalities and adds subtle messages. I really like how the light-hearted scenes are written and directed, they certainly show Kazuya Tsurumaki‘s (FLCL) influence with cunning ideas as well as funny and exaggerated animation and faces. Several calmer scenes between the relatively frequent and stunning action sequences lead to a successful compensation and let the audience catch a breath, ranging from beautiful impressions of Neo Tokyo 3 to a look into the characters’ everyday life. Such new insights into the Eva world add additional substance and authenticity to it and make you feel that there’s more to it than just giant mecha and cute girls. As for the technical side of Eva 2.0, it really reflects the absolutely awesome line-up of artists working for Studio Khara. Beginning with Hideaki Anno, Kazuya Tsurumaki and Masayuki, whose directing is on a level hardly ever seen in Japanese animation, with powerful visuals and measured scene compositions leaving no space for declining excitement. I don’t know if they handled the layout process themselves like they did with Eva 1.0 (where the three directors supervised the layouts), but it certainly looks that way as the shots and perspectives are that intriguing. This time many famous directors created the storyboard, including Hideaki Anno, Kazuya Tsurumaki, Masayuki, Shinji Higuchi, Junichi Sato (Aria, Princess Tutu, Kaleido Star, etc. ), Masaki Tachibana (Tokyo Magnitude 8.0), Soichi Masui (Scrapped Princess) and Sayo Yamamoto (Michiko to Hatchin), who did great work in setting the basic mood without anything feeling out of place. Noteworthy are also the two art directors Hiroshi Kato and Tatsuya Kushida who did an amazing job in creating the beautiful art and scenery of the movie. 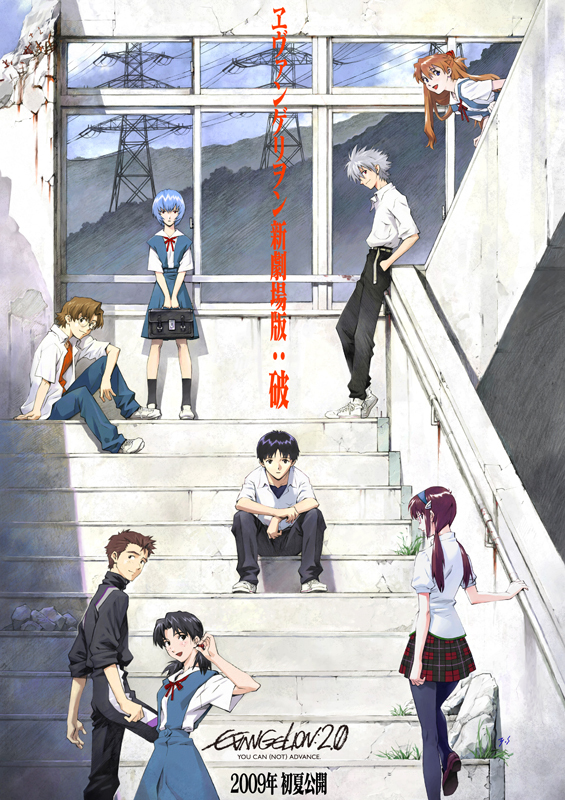 Together with the large line-up of skilled designers (Anno, Tsurumaki, Mahiro Maeda, Takeshi Honda, Atsushi Okuda, Shunji Suzuki, Shoichi Masuo and Hidenori Matsubara among others, what shows how deeply involved the directors were in the project) they gave the Eva world profound and substantial aesthetics that make the movie a real work of art. 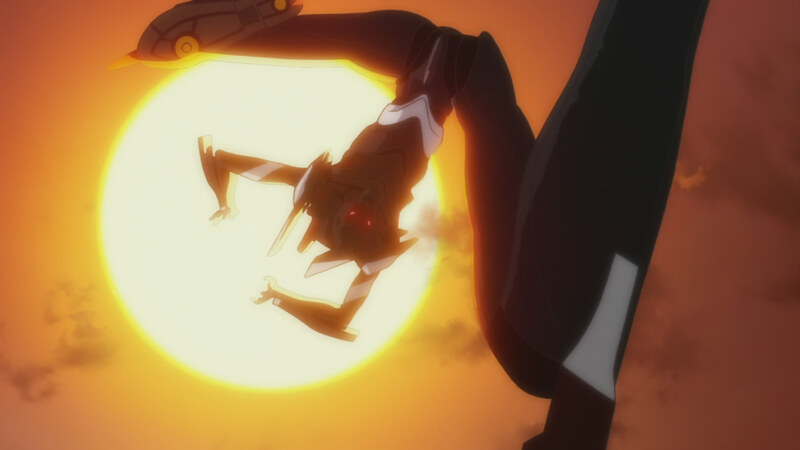 The animation itself is nothing less than spectacular and sometimes even beyond imagination, the animation directors paid high attention to create lots of exciting and believable movement, be it for the action sequences or the calmer scenes. The character acting is overall very convincing though not quite on the level of Ghibli or Satoshi Kon‘s movies, sometimes I felt that they consciously took a shortcut to save some troubles. 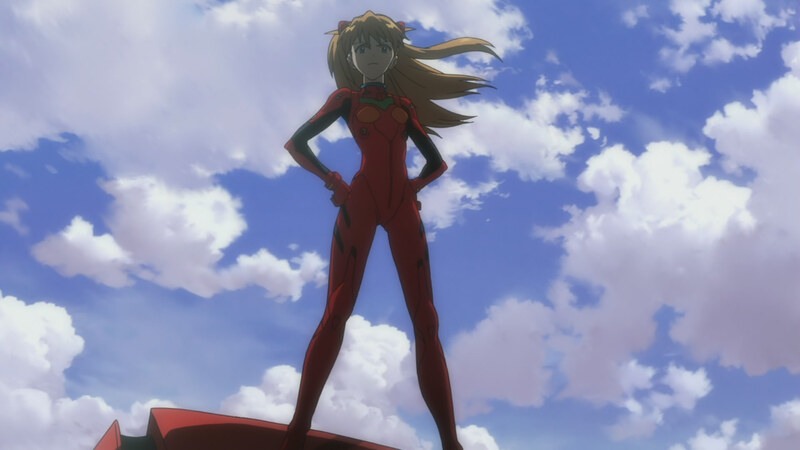 But then again, in some scenes I was amazed at how sensitively the animation expressed the characters’ nature, be it the lively body language of Mari, the prideful and dominant presence of Asuka or the felicitous depiction of Rei’s reserved personality. It’s hard to describe the epic battle scenes with words as they were realized with a care for details, realism and complexity not often seen before in anime (with Asuka vs. the MP Angels in End of Evangelion being pretty much the only comparable sequence), a truly unique cinematic experience with some shots that have never been attempted that way since they can’t be created in the usual boundaries of TV animation. You can clearly see Anno‘s influence in the battle scenes as nobody can match him in depicting action on a grand scale, that and Masayuki‘s fine sense for spectacularly choreographed and fast-paced action leads to a stunning and powerful mix that draws the viewers into the battles. CG and computer effects are used even more extensively than in the first movie but are well integrated for the most part, only sometimes I felt that they are misplaced (like some scenes with CG background people). But remarkable are particularly the digital coloring and processing that really add a great deal to the visual perfection and overall impact of Eva 2.0. The soundtrack by Shiro Sagisu (who also composed the music of the original series) offers a wide variety of music, from epic orchestra pieces for the battles to cheery songs for light-hearted scenes, and it’s overall one of the best scores I’ve ever come across in anime – with “Tsubasa wo Kudasai” getting a special mention, a worthy successor of “Komm, süsser Tod” in my book. There might be people who don’t like the way certain pieces are used in the movie, but I feel that these choices by the directors are more than justified, and it’s Anno after all. I usually don’t care much for the voice actors in Japanese animation as they are generally good, but Eva 2.0 has just so many outstanding vocal performances that I have to mention them. These performances truly enrich the experience for the audience and in combination with the great animation it’s absolutely amazing how the characters come to life on the screen. It’s hard to highlight any particular voice actors since all did a superb job in expressing and capturing their respective character’s nature, but Megumi Ogata‘s acting as Shinji is once more incredible.